What is the value of Camel ?? What is the value of 🐪 ?? 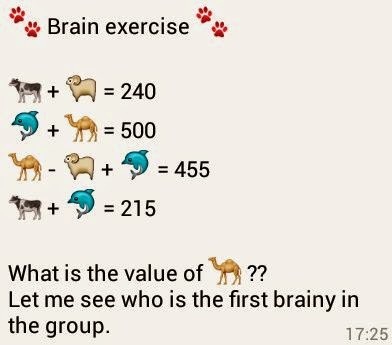 Let me see who is the first brainy in the group.